A couple of months ago, I was invited as a guest to the conference Verorten, Verkörpern, Vergegenwärtigen. Medienpraktiken des Reenactment. The graduate school Locating Media organized this event and had stumbled upon some of my studies on cosplay. I was quite surprised to receive a mail from them. 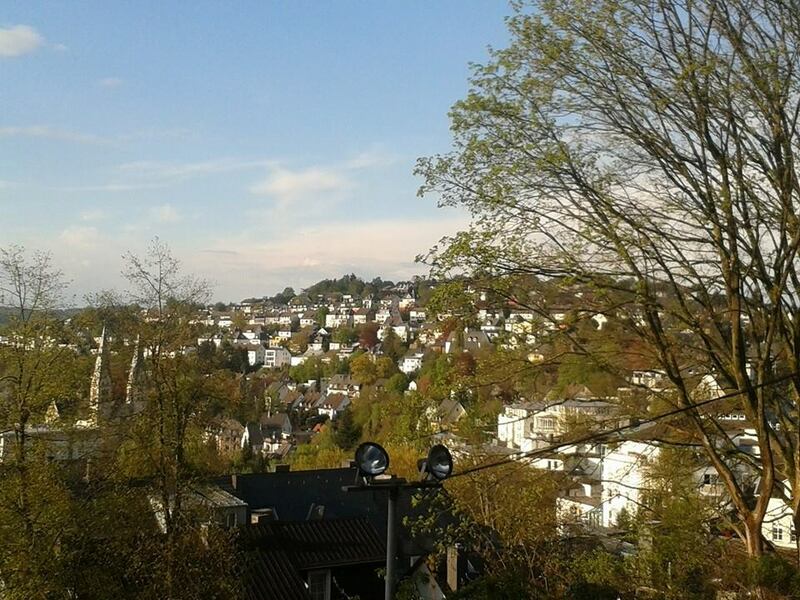 23th April, I drove over to the picturesque Siegen. For a German description and the schedule, please check the site of Locating Media, the group that organized this event. The conference theme was “re-enactment” and with a small group of scholars and PhD candidates we explored this theme. Anja Dreschke and Raphaela Knipp gave an introduction about re-enactment that particularly swirled around literary tourism (Rapheala’s point of interest) and Anja’s interest in tribal re-enactment. The keynote of Klaus-Peter Köpping, titled Über das “Re-Staging” kolonialer Projektionen: Die postkoloniale Intervention von Linyekula in “La Creation du Monde addressed re-enactment as a postcolonial practice, closely aligned with the study of memory and stereotypes. The subversive re-staging of La Creation du Monde, several years ago, was his main theme. Prof. Köpping gave a very interesting and enthusiastic talk about how re-enactment of race in theatrical performances is closely connected to particular conventions and ideas. He also showed us much footage of the new La Creation du Monde – a show that he was critical off but also intrigued by as a theoretical object. Petra Tjitske Kalshoven (from Manchester) gave a talk called Dress Rehearsal, Stage Fight: Nacherleben as Moral Breakdown in European Enactments of Native North America. I was particularly drawn to this talk because she also studies communities of re-enactment and play, namely the historical re-enactment movement of Native Americans. She particularly did her research in The Netherlands, Belgium and Germany and presented many findings about these communities of play. Her talk focused on several players and their ideas of re-enactment which were not always historically correct but given shape by many different media texts. Within the communities, what was a correct or faithful impersonation was also particularly attested. I could definitely relate this to my own studies on cosplay and the norms that shape a correct performance in fandom. Petra herself was not that into re-enactment and borrowed her outfits from friends. In one situation, a group objected to her research method: ‘You are not a Native American or a real member of our group. If you come at all, you’d better dress up as a female anthropologist from the nineteen-nineties’. That’s pretty telling, I thought, and it raises quite some questions on ethnography and membership. Maria Muhle, then, filled one of the afternoon slots with an interesting talk about re-enactment and Pierre Riviere. There was a lot of reflection on Foucault’s theory in her talk. Rembert Huser, then, ended with Platz nach Oben – a really interesting historical analysis of German media studies and the development and boundary work of different faculties in the nineteen eighties. He showed us a really cool clip and also linked this idea to pop art. What connected the two cases, as far as I understood, was the idea that re-enactment always comes with a kind of nostalgia and looking back at certain events. There was a kind of innocence to both of his cases – the re-enactment of youth in visual art and the dawning of media studies – that I found quite delightful. After this talk, Verena Mund showed us Revision, a very intense documentary where re-enactment and cultural memory play a central role. On the next day, I presented on cosplay, embodiment and affect. Then, Gisela Fehrmann explained us many things about performativity and linguistics in sign language, which was pretty awesome because she also demonstrated many of the actions that are relevant to sign language. This type of communication does not fit easy in modern linguistics, exactly because it is so depended on re-enactment and performances. Even the space itself becomes a kind of map that the subject has to remediate in signs. Jan Henschen, finally, spoke about a famous boxing match between Sharkey and McCoy and how that is often re-performed in video performance and other media to document it and gain a deeper understanding of the techniques used. The University of Siegen is a pretty big and interesting university where interesting research on media is happening right here, right now. I really hope that we stay in touch and we’ll be working on a small publication related to this event. I look forward to that. Next Let’s Talk About Loncon 2014!